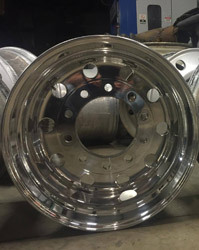 Blue Box Polish specializes in making your old semi wheels look new again. 1-740-392-2445 - Dispatch, Brokerage, & Administrative. Richard Wolfe Trucking Inc is a family run trucking company located on the south side of Mount Vernon, Oh. Established in 1993, Richard Wolfe trucking has grown from one truck to over 30 trucks in addition to having one of the most well respected garage staffs around. 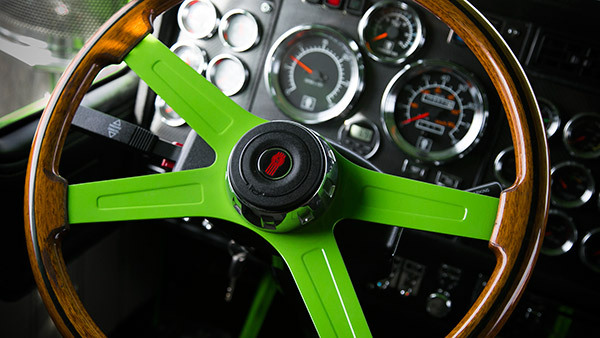 Nearly everything we do to our trucks is done in house allowing us to keep our quality of work as high as possible. We take pride in good looking and good running trucks that can move across the country without a problem. Today we have over 30 trucks out on the road moving across 48 states hauling anything you can put on a flatbed trailer. If you are interested in joining us as a driver, please give us a call anytime. See the contact tab for more information. 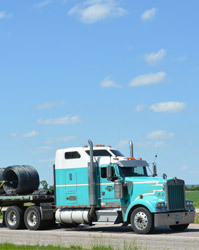 Online Job Application Richard Wolfe Trucking is always looking for qualified drivers. Apply online today to join the team! Request a quote online. 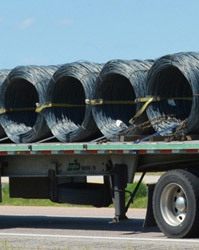 Use our quick and easy online quote request to get your freight rolling.